White Glove Cleaning – Janitorial, LLC is the area’s leading source for wood floor refinishing, carpet cleaning, tile cleaning and upholstery cleaning. The company is owned and operated by Newtown residents, Dora and Raul Oliveira who are proud to provide professional, trustworthy and affordable high quality service. The service we deliver is what distinguishes us from other companies. We strive for superior results in long lasting relationships with our customers. 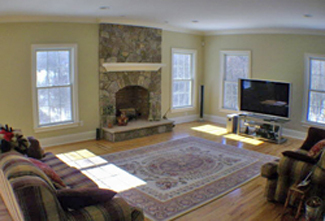 Our focus is to ensure 100% satisfaction by providing professional, trustworthy and affordable high quality service with all your carpet and rug cleaning, wood floor rejuvenation, tile floor cleaning and upholstery cleaning needs. With White Glove Cleaning – Janitorial, you get the best value for your money. We stand behind everything we do and will work to exceed your expectations. Our certified technicians are committed to continuing-education, and we provide them with the most advanced equipment in the industry. White Glove Cleaning is an active member of the Chamber of Commerce of Newtown, including the Newtown Bucks program.